Talk abstract: The Internet world is turning upside-down. In today's Internet, data is primarily flowing from data-centre servers and server farms, placed largely at the core of the network, towards the users at the edge of the network. In tomorrow's Internet, data will (primarily) be produced at the edge of the network from IoT devices, smart/autonomous vehicles, wearables, sensors and the like. This data will be of enormous volume. It has been said that each autonomous vehicle could generate tens of TBs of data per hour. The current Internet infrastructure is not prepared to accommodate this volume of data coming in from the edge. The current model of sending everything back to the cloud for processing will simply not cope with this wave of data coming from the edge. In order to get the Internet infrastructure prepared for this change, there are a number of components that need to be smoothly integrated into the current Internet architecture. At UCL, we are building solutions to address the needs of a future, privacy-preserving, IoT-dominated edge computing environment. Our paper won the best paper award at the 7th International Symposium on Security and Privacy on Internet of Things (SPIoT). 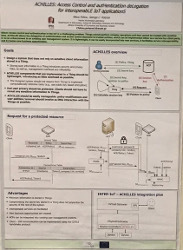 The symposium took place in conjunction with the 11th International Conference on Security, Privacy and Anonymity in Computation, Communication and Storage (SpaCCS), Melbourne, Australia, December 2018. The paper, titled "Interacting with the Internet of Things Using Smart Contracts and Blockchain Technologies", presented how constrained IoT devices can be used with the blockchain technology. This is a joint work by N. Fotiou, V. A. Siris, and G.C. Polyzos from MMLab, funded by the SOFIE project. The paper is published in Lecture Notes in Computer Science, vol. 11342, pp. 443-452. You can find more details in our paper in this link. The team made a proposal, mockup and business plan regarding automatic bicycle accident warning and tracking using LoRaWAN IoT technologies. Talk abstract: Large-scale video streaming on demand has become possible thanks to numerous engineering achievements in fields such as video compression, high-speed computation and display technologies. Nevertheless, the skyrocketing needs for bandwidth and network resources consumed by video applications challenges modern video content delivery. Since the available bandwidth resources are limited, streaming service providers have to mediate between operation costs, bandwidth efficiency and maximizing user quality of experience. However, these goals are inherently conflicting and require knowledge of how user quality of experience is affected by the network-induced changes in video quality. Being able to understand and predict user quality of experience and perceptually optimize rate allocation, can have significant effects in better network utilization, reduced costs for service providers and improved user satisfaction. In this talk, we will discuss on subjective and objective approaches to study and predict user quality of experience in video streaming applications, by exploiting perceptual video quality and human behavioral responses to streaming-related video impairments. Presenter's biography: Christos Bampis graduated from the ECE school at the National Technical University of Athens in 2014. He then received a PhD in Electrical Engineering from the University of Texas at Austin in 2018. 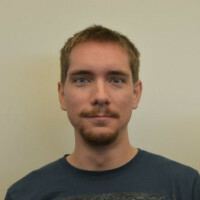 His research interests span various research areas in image and video quality, quality of experience, image processing and computer vision. He recently started working as a software engineer at the Video Algorithms team at Netflix, focusing on perceptual video quality and quality of experience prediction algorithms. Talk abstract: Fifth Generation (5G) mobile networks pose a major paradigm shift, aimed to improve efficiency and flexibility with a service-oriented architecture that delivers networks as-a-service. The underlying concept is to support multiple services and virtual networks over one or more physical network infrastructure providers, with respect to (wrt) different service definition and agreement requirements, control and management, and performance. This service-oriented 5G vision can address the vast variety of emerging resource-hungry wireless services due to the unprecedented proliferation of smartphone and Internet-of-Things (IoT) devices, via a network composition and resource sharing model that reduces both Capital Expenditure (CAPEX) and operating expenses (OPEX). The later is done by decoupling infrastructure providers (e.g., operators and data center owners), service providers (e.g., operators and verticals) and network function providers (e.g., vendors). Therefore, a 5G service can be built by combining multi-vendor physical network functions and Virtual Network Functions (VNFs), bringing network slicing to the foreground as a key enabler for the envisioned service-oriented 5G. Within this 5G context, a key concept for customizing and offering a slice in a flexible way is to automate its life-cycle management. Following a long period of remaining in obscurity, Machine Learning (ML)-based approaches have created a trend towards this direction in the literature due to breakthroughs made on computational devices (CPUs, GPUs and Tensor Processing Units (TPUs)), which qualify ML as an appropriate option. Nevertheless, Cognitive Network & Slice Management based on ML poses a series of challenges, spanning from the design process of the ML models up to their deployment and their runtime life-cycle, including their cooperation. In addition, another key challenge towards a 5G era is the ever-increasing demand for resource-hungry, content-rich services such as HD video streaming and augmented reality, which require both low latency and high reliability. (a) A novel Methodology approach to Cognitive Network & Slice Management based on Machine Learning (ML) models for managing network and slice resources in a way that complies with slice Service Level Agreements (SLAs) and maximizes the revenue of the underlying physical network operator(s). The proposed methodology approach standardizes, orchestrates and automates all the necessary steps and actions for building and deploying efficient ML models as collaborative components of an integrated Cognitive Network & Slice Management system. (b) LL-MEC, the first open-source Low-Latency Multi-access Edge Computing (MEC) platform enabling coordinated resource programmability in end-to-end slicing scenarios, mobile network monitoring, control, and programmability while retaining compatibility with 3GPP and ETSI specifications. (c) Ongoing work on coordinated, multi-type resource allocation for E2E slicing. Presenter's biography: Xenofon Vasilakos is a postdoctoral fellow at Eurecom graduate school and research center, the Communication Systems department. He is funded by the “Investments for the Future” LABEX scholarship programme. Currently, he is working on 5G slicing technologies with a particular focus on Multi-access Edge Computing solutions and cognition approaches inspired by Machine Learning models towards self-managed 5G mobile networks. He has acquired a Ph.D. in Informatics from the Athens University of Economics and Business (AUEB) by working on Information-Centric Networking architectures, protocols and distributed solutions for the Future Internet, with an emphasis on rendezvous networks and seamless mobility support. Before that, he obtained his M.Sc. degree in Parallel and Distributed Computer Systems in 2009 from the Vrije Universiteit Amsterdam and his B.Sc. in Informatics from AUEB in 2007. He has participated in EU funded H2020 ICT projects such as H2020-POINT and, currently, 5GPPP SliceNet and 5GPPP 5G-PICTURE. In the past, he has participated in the EU funded FP7 projects PSIRP and PURSUIT, as well as in the Greek government-funded project I-CAN on clean-slate Information-Centric Networking architectures. Thesis abstract: The proliferation of smartphones, with their multiple interfaces, and data servers, with their high-performance interconnection networks, has revived interest in multipath transport protocols. Multipath-TCP (MPTCP), the multipath extension of TCP, is currently available in the Apple iOS and Linux operating systems, enabling bandwidth aggregation, load balancing, and resilience to failures and disconnections due to mobility. However, the deployment of multipath transport is challenged by the address-based TCP/IP communication, which does not facilitate the seamless establishment of multiple paths among two end-points, and by the distributed hop-by-hop TCP/IP routing, which does not ensure the disjointness of the paths. Even when multiple paths are deployed, the use of many subflows is both a blessing and a curse for multipath TCP/IP protocols, as they tend to grasp an unfair share of bandwidth, thus becoming unfriendly to single-path TCP flows. The latest congestion control algorithms for MPTCP attempt to equalize the cumulative subflow throughput with the throughput of the fastest single-path flow in the same link, thus exchanging performance for TCP-friendliness. While TCP-friendly in the long run, these approaches exhibit high throughput convergence latency, thus being effective only for long-lived flows. Our contribution to multipath transport is twofold. First, we introduce the multipath multisource Transport Protocol (mmTP), a transport-layer protocol that offers reliable multipath and multisource content delivery in the Publish-Subscribe Internet (PSI) architecture. mmTP increases the utilization of network processing resources, exploits on-path and off-path caching and does not require additional state at routers, or complex signaling during connection establishment. Second, we propose a novel hybrid multipath congestion control algorithm that enhances resource utilization through greedy friendliness, a design that meets the TCP-friendliness constraint only when is needed. The hybrid congestion control scheme consists of the novel end-to-end Normalized Multiflow Congestion Control (NMCC) algorithm, which offers instant convergence to TCP-Friendliness, and an in-network topology management module, that provides disjoint paths when possible and notifies end-users about shared bottlenecks otherwise. We finally discuss the integration of the proposed designs with the TCP/IP architecture: mmTP through Software Defined Networking (SDN) and NMCC through MPTCP. 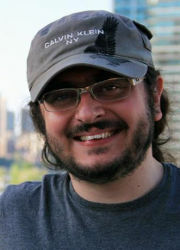 Presenter's biography: Nikos Vasilakis is a Ph.D. candidate in Computer and Information Science at the University of Pennsylvania. Broadly construed, his research focus is large-scale distributed systems, with branches into systems security and programming languages. In the past, he worked as a software engineer in industrial environments that blend engineering with a tablespoon of research (e.g., VMware). The BeSMART project has been successfully completed. MMLab members presented its outcome during the final review, which took place in Athens. For more information about the BeSMART project, visit the project's page. Talk abstract: Can we do better than just waiting for the next attack to happen? We aruge that security should become more proactive in order to minimize the damage that an attack, such as a DDoS or a virus, can have. This is a very ambitious goal, but we believe that we are making significant first steps towards it. Specifically, our work focuses on the following questions: a) Can we improve network security by mining social media? b)Can we analyze malware to detect artifacts that can help us block or even eliminate them? We present our efforts that attempt to address the above questions. First, we develop a systematic approach to extract actionable information from social media, focusing on security forums. Specifically, we develop RIPEx, a hands-free method to extract IP addresses, that are reported as malicious in the forums. The results are very encouraging: a handful of such forums can provide 4 times more malicious IP addresses compared to the well-known VirusTotal repository. Second, we present the value of the information that we can extract by analyzing malware binaries that target routers and IoT devices. To automate the study of such malware, we develop, RARE, a systematic and comprehensive system to extract patterns and communication artifacts that can help detect and contain malware, and also point us to the communication and control points of botnets. Presenter's biography: Michalis Faloutsos is a faculty member at the Computer Science Dpt and Director of Entrepreneurship in the University of California Riverside. He got his bachelor's degree at the National Technical University of Athens and his M.Sc. and Ph.D. at the University of Toronto. 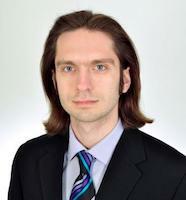 His interests include, network and systems security, online social networks analytics, and network measurements. With his two brothers, he co-authored the paper "On powerlaws of the Internet topology" (SIGCOMM'99), which received the "Test of Time" award from ACM SIGCOMM. His research has resulted in more than 18K citations, an h-index greater than 56, and an i10-index greater than 120. His work has been supported by many NSF, DHS, ARL, and DAPRA grants, for a cumulative amount of more than $12M. He is the co-founder of stopthehacker.com, a web-security start-up, which got acquired by Cloudflare in November 2013. In Aug 2014, he co-founded programize.com, which provides product development as a service and grew to 55 people by its third year. Talk abstract: BlockChain (BC) has attracted tremendous attention due to its immutable nature and the associated security and privacy benefits. In this talk, we argue that BC has the potential to overcome security and privacy challenges of Internet of Things (IoT). However, traditional instantiations of BC are computationally expensive, have limited scalability and incur significant bandwidth overheads and delays which are not suited to the IoT context. We propose a tiered Lightweight Scalable BC (LSB) that is optimized for IoT requirements. We explore LSB in a smart home setting as a representative example for broader IoT applications. Low resource devices in a smart home benefit from a centralized manager that establishes shared keys for communication and processes all incoming and outgoing requests. 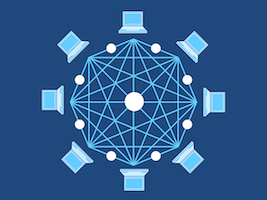 LSB achieves decentralization by forming an overlay network where high resource devices jointly manage a public BC that ensures end-to-end privacy and security. The overlay is organized as distinct clusters to reduce overheads and the cluster heads are responsible for managing the public BC. LSB incorporates several optimizations which include algorithms for lightweight consensus, distributed trust and throughput management. Qualitative arguments demonstrate that LSB is resilient to several security attacks. Extensive simulations show that LSB decreases packet overhead and delay and increases BC scalability compared to relevant baselines. 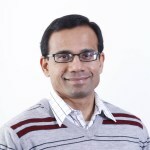 Presenter's biography: Salil Kanhere is an Associate Professor in the School of Computer Science and Engineering at UNSW Sydney, Australia. His research interests include Internet of Things, blockchain, pervasive and mobile computing, crowdsourcing, privacy and security. He has published 175 peer-reviewed articles and delivered over 20 keynote talks and technical tutorials on these topics. Salil regularly serves on the organizing committee of a number of IEEE and ACM international conferences. He currently serves as the Area Editor for Pervasive and Mobile Computing and Computer Communications. 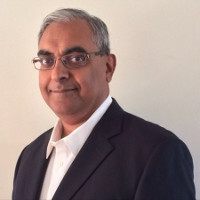 Salil is a Senior Member of both the IEEE and the ACM. He is a recipient of the Humboldt Research Fellowship. Talk abstract: The Future Internet architecture is expected to incorporate disruptive environments, new applications and information-centric services. Unlike the traditional host-centric access paradigm, where access to a desired content is mapped to its location, UMOBILE architecture relies on the information-centric communication model to enable the association of access to a desired content with the content itself and on the DTN technology to meet the requirements of opportunistic communications; the two approaches are integrated into a single architecture. Furthermore, our approach to push services near the edge of the network but also to interpret connectivity as a time-tolerant aspect, allows for the development of innovative applications that access data independent of the level of end-to-end connectivity availability. 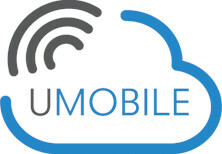 In this talk, we will highlight the design features of the UMOBILE architecture. Prior to that, a brief introduction to our group activities and relevant recent project results will be presented. 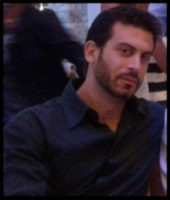 Presenters' biography: Christos-Alexandros Sarros obtained his diploma in electrical and computer engineering from Democritus University of Thrace, Greece, in 2016. Currently, he is pursuing a Ph.D. at the same university under the supervision of Prof. Vassilis Tsaoussidis, and is working as research assistant at the Athena Research and Innovation Center. 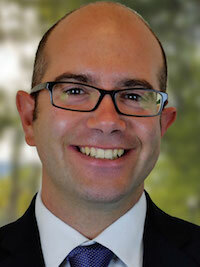 His research interests lie in the area of information-centric networking and delay-/disruption-tolerant networking. Vassilis Tsaoussidis is a professor at DUTH and adjunct professor at Athena RC, holding degrees in applied mathematics (Aristotle University) and computer science (Ph.D. in computer science, Humboldt University, Berlin). He joined the research community of Rutgers in 1996 and later the faculty communities of Stony Brook and Northeastern. He also joined MIT as a visiting professor in 2009. 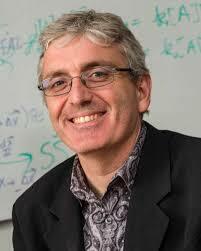 He was scientific leader for ESA, FP-7, and HORIZON 2020 projects, including the UMOBILE project. Vassilis was an active member of the Democritus University Board and had a vital role in redefining ethics in University administration. 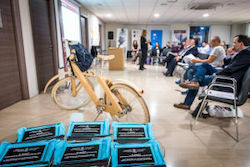 Achilles' team presented the project's initial results on January 19, Valencia, Spain. 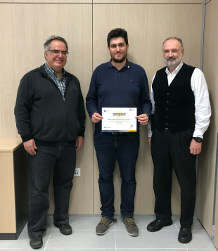 The review took place at the Universitat Politechica de Valencia, and the team demonstrated how Achilles can be used to provide access control for the Inter-IoT gateway. Talk abstract: Modern operating systems consist of large, monolithic blobs of complex code, and are plagued with vulnerabilities that allow perpetrators to exploit them for profit. This, coupled with the sophistication of modern adversaries, makes the need for effective and targeted defenses more critical than ever. In this talk, I will present our work on developing novel protection mechanisms and exploit prevention techniques that improve the security posture of commodity operating system kernels. In particular, I will discuss kR^X and XPFO, two projects whose goal is to harden contemporary OSes, against attacks that exploit memory safety vulnerabilities in kernel code, without entailing super-privileged software (e.g., a hypervisor or VMM). In addition, I will talk about ret2dir, a new kernel exploitation technique that we developed, which unveils how standard OS design approaches can significantly weaken the effectiveness of deployed, state of-the-art kernel defenses. On of December 1, 2017 we had our first internal workshop on blockchain technologies. The goal of the workshop was to introduce blockhains and smart contracts and to discuss their applications in the domain of the Internet of Things. Talk abstract: Optimally placing content over a network of arises in many networking applications. Given the content demand, described by content requests and paths they follow, we wish to determine the content placement that maximizes the expected caching gain, i.e., the reduction of routing costs due to intermediate caching. The offline version of this problem is NP-hard. To make matters worse, in most cases, both the demand and the network topology may be a priori unknown; hence, distributed, adaptive content placement algorithms that yield constant approximation guarantees are desired. We show that path replication, an algorithm encountered often in both networking literature and in practice, can be arbitrarily suboptimal when combined with traditional cache eviction policies, like LRU, LFU, or FIFO. We propose a distributed, adaptive algorithm that provably constructs a probabilistic content placement within 1−1/e factor from the optimal, in expectation. Finally, we extend these results to optimizing caching and routing decisions jointly. Talk abstract: SOFIE is an EU H2020 IoT project starting in January 2018, with both AUEB and Aalto as partners. In his talk, Pekka will first very briefly introduce the SOFIE project, assuming that most of the audience already have some background and may have read the white paper draft (https://mm.aueb.gr/tr/Sofie.pdf). After that, he will dive a little bit deeper in describing his current thoughts about the SOFIE architecture and what Aalto is currently planning there. In the end of his talk, Pekka will try to entice some discussion about the expected modelling and analysis needs in SOFIE. 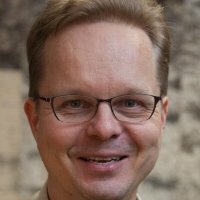 Presenter's biography: Pekka Nikander is a professor of Industrial Internet at Aalto University, Finland. He is a serial entrepreneur, lead programmer, and security researcher with over 30 years of experience. He has founded 6 startups (one listed at Nasdaq OMX) and published over 100 peer reviewed papers. Among other things, he is a past member of the Internet Architecture Board, an internet user since 1987, and the author of the TCP/IP support in Tcl/Tk. Talk abstract: Client motion detection in WLANs has the potential to both improve protocol performance and enable a number of novel applications. In this talk, I will discuss our work on leveraging wireless signals to enable human motion detection at different granularities on commodity WiFi devices. In the first part of the talk, I will present a scheme for detecting and classifying client mobility on the access point side by leveraging Channel State Information (CSI) and Time-of-Flight (ToF), and I will demonstrate how mobility-awareness can improve the performance of a number of wireless protocols. In the second part of the talk, I will introduce WiDraw, the first hand motion tracking system based on commodity WiFi cards. WiDraw harnesses the Angle-of-Arrival (AoA) values of incoming wireless signals at the mobile device to track the user’s hand trajectory without requiring the user to touch the device or use any external hardware. Using WiDraw, a user can draw arbitrary lines, curves, or even alphabetical characters, simply by hand motion in the air. I will also give an overview of other research projects in UB WiNS Lab. Presenter's biography: Dimitrios Koutsonikolas received his Ph.D. in Electrical and Computer Engineering from Purdue University in August 2010 and he worked as a Postdoctoral Researcher at Purdue University from September to December 2010. He is currently an Associate Professor of Computer Science and Engineering at the University at Buffalo, The State University of New York. Dimitrios’ research interests lie broadly in experimental wireless networking and mobile computing, with a current focus on millimeter wave WLANs, LTE in unlicensed spectrum, smartphone energy consumption, and motion detection using wireless signals. He has published over 60 papers in top venues including MobiCom, CoNEXT, INFOCOM, ICDCS, HotNets, Transactions on Networking, Transactions on Mobile Computing, and Transactions on Wireless Communications. He has been regularly serving on the TPC of a number of networking conferences including MobiCom, INFOCOM, CoNEXT, ICDCS, and he has been on the Editorial Board of IEEE Transactions on Mobile Computing since February 2017. He is the general Co-Chair of EWSN 2018, and he has co-chaired a number of workshops in wireless networking. 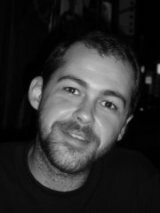 Dimitrios is a senior member of IEEE and a member of ACM and USENIX. He received the NSF CAREER Award in 2016, the CSE Early Career Faculty Teaching Award and the School of Engineering and Applied Sciences Early Career Researcher of the Year Award in 2015, and best paper awards in WCNC 2017 and SENSORCOMM 2007.